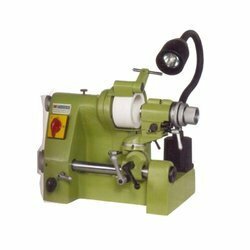 Leading Manufacturer of universal cutter grinder, precision end mil grinder, punch grinder and precision drill grinder from Navi Mumbai. For grinding HSS and carbide gngraving cutter as well as single lip or multiple lip cutters of various shapes such as radiused cutters or negative taper angle of cutters. The universal index head is provided at 24 positions so that any particular angle or shape can be obtained, free 3600 or 100 rotation is allowed for grinding End Mills. Twist Drill. 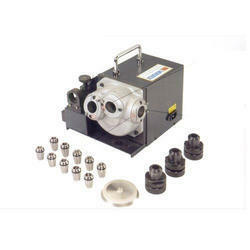 Lathe Tools, only replace the attachment to the index head without any complex setup. 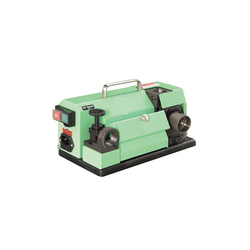 With the constant support of our expert team, we are engaged in offering a huge assortment of precision drill grinder. This high grade precision drill grinder is designed and engineered in our advanced manufacturing facility. Manufactured using the best grade raw materials, the high performing precision drill grinder offered by us is highly appreciated for their high durability and optimum performance.